Last year in October i arrived in Madison knowing few people except friends of my spouse, Jeffrey Wright. However, my many years working with the US Government, and moving from country to country, had given me the basic tools to move to a new place and ground myself and make friends. I had been doing this for most of my life as a foreign service officer with the United States Agency for International Development (USAID). I am a walker. Having recently retired from USAID, i had plenty of time to walk, so i walked and stopped in bushiness and started a conversation, about my life and theirs. People, despite the social media age and being on face book, twitter, and many other social interactive sites, did want to talk and converse. SO, it gave me an idea, why not open a salon where people can come and have creative conversations and discuss issues. So after a year, I have had tremendous support from so may people in Madison for the idea and I will soon open A Place to be (picture below) where we can have face to face substantive discussions and a dialogue in an environment that is much like our living room. Comfortable and warm and welcoming. The web site http://www.aplacetobewillystreet.com will be up very soon. 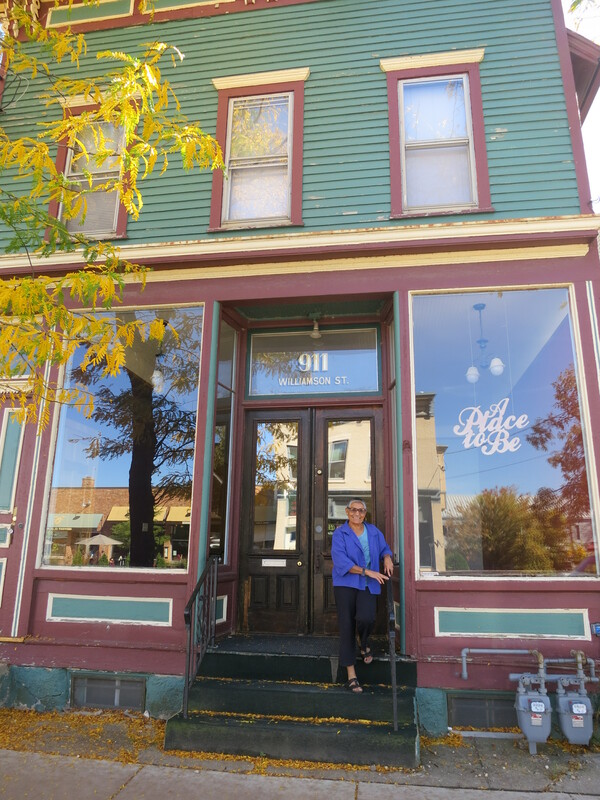 I except to open the place first week of November with the a discussion by small business owners who are women and what they bring to our community and challenges they face as women business owners. If you live in Madison, please drop by. If you don’t and were to visit, do stop by and enjoy some artifacts that we have collected from around the world and will be on display at A Place to Be.